Life is Too Short – Travel with Friends! For the past 20 years, I have traveled with my dear friends Chris and Kate every 5 years for our milestones (we share the same birth year). Over that span of time, I’ve taken the time away from children, responsibilities, and husband Bill to enjoy quality time with friends for a week to 10 days per trip. We’ve been to Napa, Lake Tahoe, Ireland, Spain, Alaska, and have even done a couple “staycations” together. 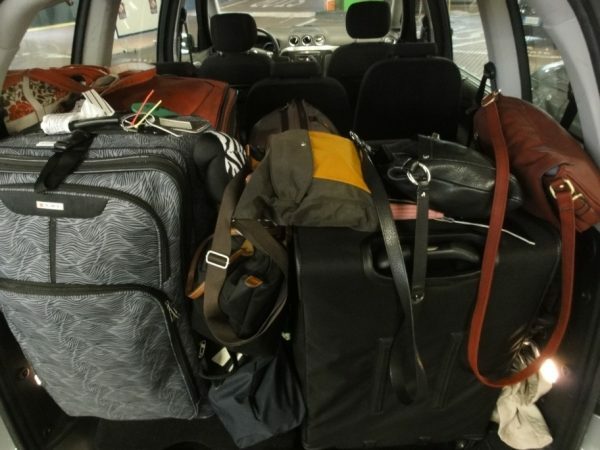 We are perfect travel companions! My children are now grown, Bill is still working but headed for retirement, and I’m getting close to 65. While Chris, Kate, and I were on our last official milestone trip when we turned 60 – to Barcelona and the Costa Brava of Spain – we agreed we had to accelerate our schedule if we want to see everything we want to in our lives. Yes, it’s challenging to balance obligations and responsibilities, but the rewards of traveling with close friends and family are priceless. Let me share a couple client stories with you. Christine and her husband have been all over the world. 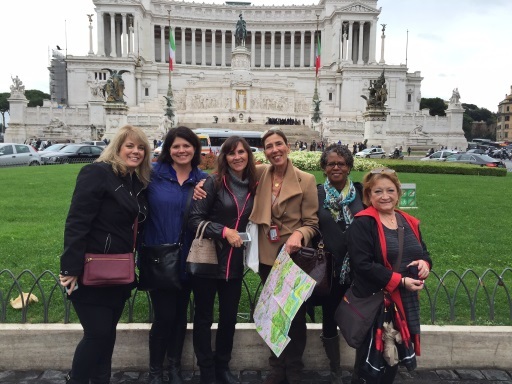 But when she was ready to celebrate a milestone birthday at 50, she decided she wanted to share the experience with a group of friends who share her love of Italian food and cooking. This group of six included sophisticated world travelers like Christine and first-time to Europe travelers, but they share a bond of friendship and common interests together. 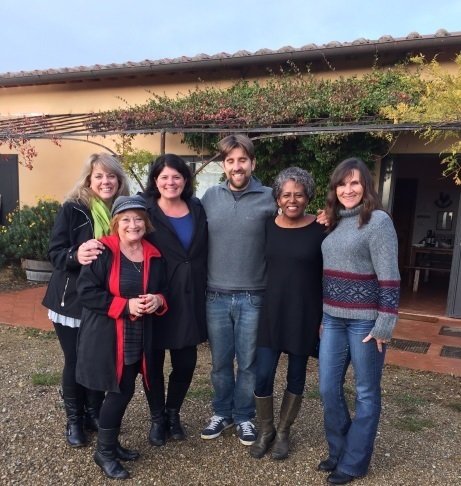 After almost a year of planning, the group headed to Florence, the Tuscan countryside for 3 days of cooking classes, and Rome in November. They enjoyed each other’s company, great food and conversation, and new recipes to showcase at home. They toured the Uffizi in Florence, had a wonderful private tour at the Vatican, and cooked, laughed and drank wine together. When I met with them after their return, what they most valued about this amazing trip was the time they got to hang out together. Because they shared typical small European hotel rooms, they appreciated the intimate public areas of the Hotel Cellai in Florence and especially loved the small Villa Fattoria Valle in Panzano where they were the only guests. Flo and Vivian are friends but their relationship is really more like that of sisters (it’s equally awesome to travel with sisters as I can attest to!). 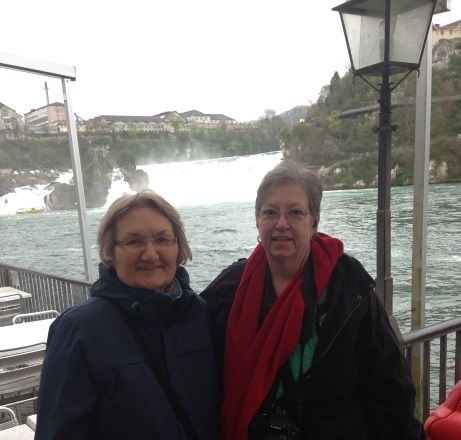 They love to travel together and have discovered the joys of river cruising. 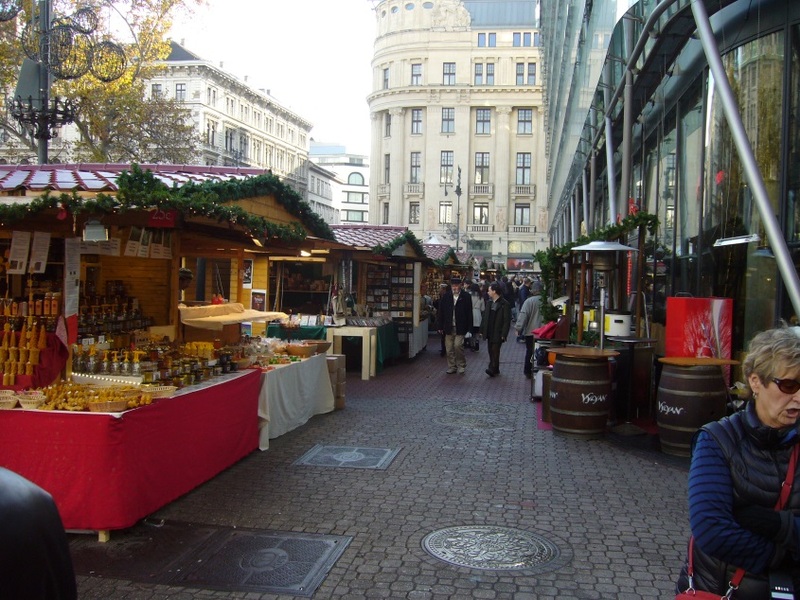 They are inveterate shoppers and their first river cruise experience was an Ama Waterways cruise on the Danube from Budapest to Prague for the Christmas market season. I was so impressed with these two women – they went to each of the markets and each stand at each market. In Salzburg alone, they visited 120 stalls and came away with fabulous and unique treasures for friends and family. They had such a great time they signed up for another Ama Waterways cruise – this one along the Rhine and waterways of Germany and the Netherlands to experience tulip time. They were delighted with the 125th anniversary commemoration of the death of Van Gogh with a spectacular “Van Gogh” tulip display at Keukenhof fields. They exuberantly shared photos, their treasures, and even recipes from Ama Waterways which focuses on the regional cuisine of its destinations. Plan ahead to minimize surprises. The planning process helps crystallize what is important for all the friends traveling together. A travel professional – such as any one of our team members at Bay World Travel – is an objective and collaborative partner in making sure it’s an experience you’ll all find amazing. Allow for downtime on your trip to make time for what friends value most – conversation and companionship. Consider cruising. Whether a small vessel like AmaWaterways or a large ship, there’s opportunity for friends to do things together or separately. 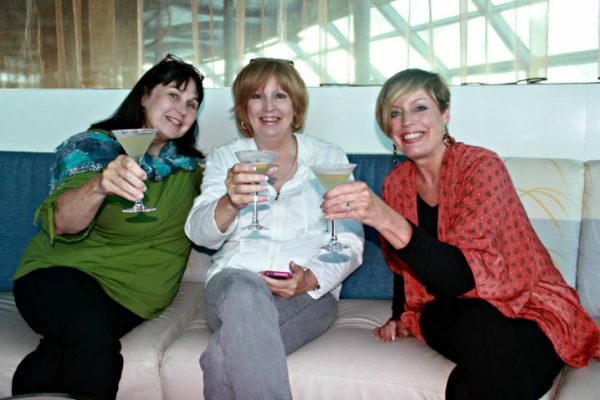 When I went on the Alaska cruise with friends and family, we always gathered for a pre-dinner cocktail and dinner – sometimes sharing stories of what we did together and sometimes what we did on our own. Do a trial run. Haven’t traveled with this friend or group of friends before? Try a weekend getaway to see just how compatible you are as travel companions. Get extra amenities. If you want to invite friends along on a cruise, tour or resort stay, there are often extra benefits we can negotiate to help sweeten the deal. Call Bay World Travel today to start planning your next adventure with friends and family!